Before you put pen to paper, fingers to keyboard, or whatever medium you’re using, you need to ask yourself some difficult questions. “Why am I doing this?” If it’s for fame and glory, think again. 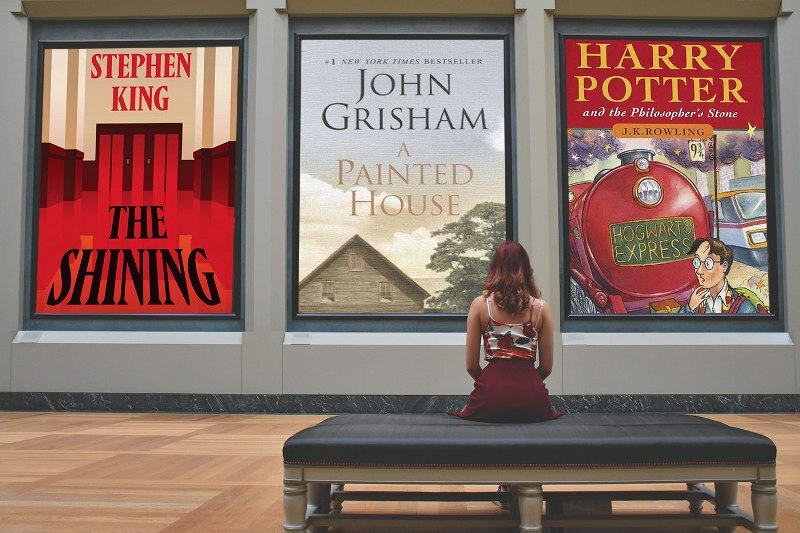 Chances are very unlikely that you’re going to be the next John Grisham, Stephen King or Dan Brown. Chances are even less that you’ll become an overnight sensation in the style of J.K. Rowling. Some of those famous authors worked long and hard, and faced a lot of rejection prior to becoming the household names we know today. Stephen King worked as a janitor at a high school, eventually resulting in the idea for the novel Carrie. If his wife, Tabitha, however, had simply emptied the trash in his office instead of nosing through his crumpled writings, Carrie never would have existed and we might never have heard of Stephen King. J.K. Rowling was “on the dole” (the British version of welfare), struggling to provide for her son as a single parent. Her Harry Potter manuscript had been rejected 12 times. What if she had given up and not tried for lucky 13? How many more are there just like them, who will never get that one break that means the difference between fame and anonymity? If you really want to get your novel published, you need a much bigger reason for starting in the first place. Write because it’s your passion. Because you are a great storyteller. Because it’s what comes naturally to you. Once you’ve decided that you do, indeed, have a story to tell, and that others will actually want to read it, you have to take the steps necessary to become a good writer. Everyone has a “novel” idea (pun intended), but if it isn’t written properly, you won’t make it to print (or Kindle). 1) Create a story line. Work out all the plot twists ahead of time. It will save you having to re-write the first seven chapters when you realize the storyline doesn’t make sense. There will always be kinks and you’ll need to work these out before you get to the meat of the book — otherwise, all those hours spent crafting a work of art will have gone to waste. 2) Create a character list. This helps you keep characters clear in your mind. It will also help you define their purpose, their relationships, their actions and their personalities. Refer to it often so that you stay in character, that character, when creating a specific personality. 3) Choose your setting. Make sure it’s appropriate to the story line. This isn’t just about geography, research the era, time of day, or political mood as necessary. Speech, appropriate reactions, and even thought patterns can be completely different based on the environment of the story. A white teenage girl in California would behave very differently than a black girl the same age in the poor south. In some cases, you may find that altering your setting will do more justice to your story line. Your bank robbery, for example, might be easier to pull off in the 1970’s when there wasn’t as much high tech surveillance and computerized security in existence. Three years and 2,500 miles can make a difference. Left: 1971 in California. Right: 1968 in Mississippi. 4) Write about what you know. Don’t write about Australia if you have never been there. Don’t write about a computer hacking scheme if you‘re not technologically savvy. But just because you have never been anywhere exotic or exciting doesn’t mean you don’t know anything. Writing is all about exploring the limits of your own world and creating an adventure from even the smallest detail. 5) Research, research, research! Especially if you decide to go outside your area of knowledge. Even if you’re familiar with something, you will want to make sure you mention the right year, the right model, or spell a name correctly. Even the greatest baseball fan, who can recite historical statistics from memory, would research facts in order to remain absolutely accurate. One missed detail can ruin your credibility. 6) Gather details. Make notes about specifics that are appropriate to your book. Adding details to your writing makes it more believable and gives you accountability. Detail allows a reader to create an image in their mind. Imagery creates a story that draws the reader into the situation and makes a reader feel like a part of what’s going on. Without details, your readers will quickly become detached bystanders. 7) Make time to write. Put aside a certain amount of time every day for writing. Writing is like a muscle that needs to be exercised. If you don’t it will atrophy. Even if you’re not working on your book, write something else. Whether it’s poetry, or writing observations on human behavior at the local mall, your mind will be kept sharp and you may find yourself getting some unexpected inspiration. Remember, writers write! 8) Reread. After you have written a chapter or a paragraph, let it ferment — especially if there are strong emotions involved. Walk away. Write something else for a while. When you come back and read it again, the initial emotional attachment will have dissipated and you will have a clearer view of what you had previously written. It’s never quite what you remember from the first time around. 9) Rewrite. Get used to it. You’ll be doing a lot of this. It’s a simple fact of the writing process. Unless you are an artistic savant, it won’t come out perfect the first time. Fluff it out. Add details. Remove unnecessary ramblings. When you’re done, do it again. And again. And probably again. 10) Read. Read it yourself. Read it out loud — if it doesn’t flow from your tongue, it just doesn’t flow at all. Find someone else (you trust) to read it. Find someone (you trust) who will be brutally honest and not sing phony praise in your honor — your editor certainly won’t! 11) Read. I know I already said this, but I’m not referring to your budding novel. I’m referring to John Grisham, Stephen King, Dan Brown and J.K. Rowling — or whoever your favorite author is. There is no such thing as a good author who is not also a good reader. You will learn a lot by reading and learning from how others have written. Pay attention to their descriptive passages. Learn how they move from one scene to another. Study speech patterns. Increase your vocabulary. Even if you never get published, you will have created a work of art that you can be proud of. If you don’t think it’s a work of art, then it probably wasn’t worth creating. And remember, it’s called a work of art for a reason. Because there is actual work involved. Writing has to be your passion. If you write for any other reason than the sheer joy of writing, it will never truly be a work of art.